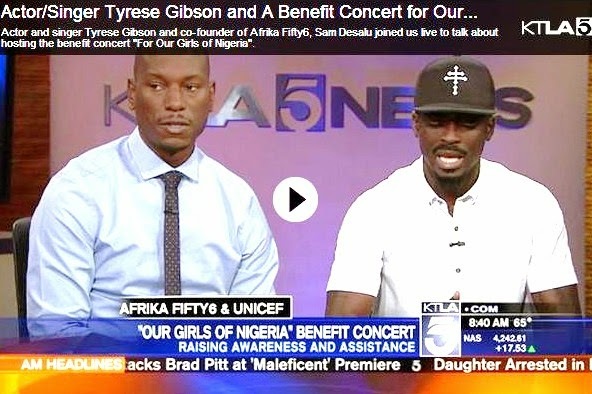 Actor and singer Tyrese Gibson joined KTLA5 live to talk about hosting the benefit concert “For Our Girls of Nigeria”. In the wake of the abduction of over 230 Nigerian schoolgirls, fashion, music and art based non-profit AFRIKA FIFTY6 is partnering with the music and art community to produce a benefit concert to raise awareness and assistance for the girls and the families of those affected. On the night of April 14, 2014 approximately 276 schoolgirls were kidnapped from the Government Secondary School in the town of Chibok in Borno State, Nigeria by known terrorist group “Boko Haram.” It is now known that 50 girls were able to escape; however the remaining girls are still torn from their families. 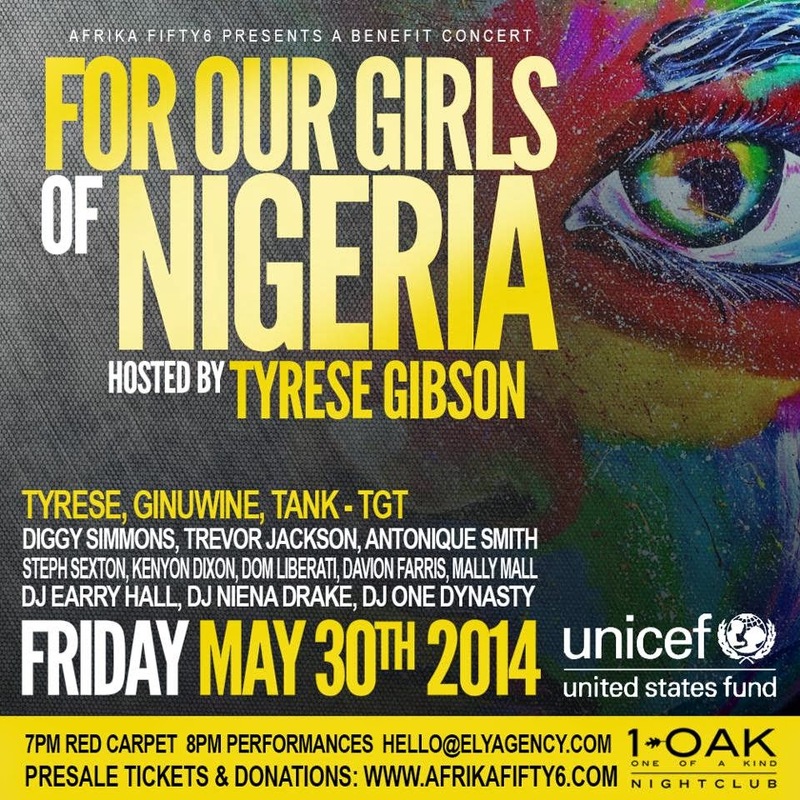 Tyrese Gibson, Ginuwine, Tank, (TGT), Diggy Simmons, Trevor Jackson, Clinton Sparks, Antonique Smith, Steph Sexton, Kenyon Dixon, Mahkenna Tyson and more will be lending their vocal talents and support. DJs’ DJ Earry Hall, DJ Niena Drake and DJ One Dynasty will be preforming through out the evening as well. Confirmed guests include: Matt Barnes (LA Clippers), Mario, Rev Run of Run DMC, Terrence J (E! News), Ellen DeGeneres, Nick Young (LA Lakers), Mally Mall (Producer), Karrueche Tran (Model), Jay Ellis (BET’s The Game), Giovanni Watson (Comedian/Actor), Yesi Ortiz (Power 106 – Host) and more. There will also be an auction comprised of pieces donated by our celebrity guests and supporters. The auction will be conducted both on-site, and online via eBay’s AuctionCause.com with proceeds to directly benefit UNICEF’s programs that help protect children in Nigeria. UNICEF is dedicated to providing children and their families affected by the crisis with essential services. This segment aired on the KTLA 5 Morning News on May 30, 2014.